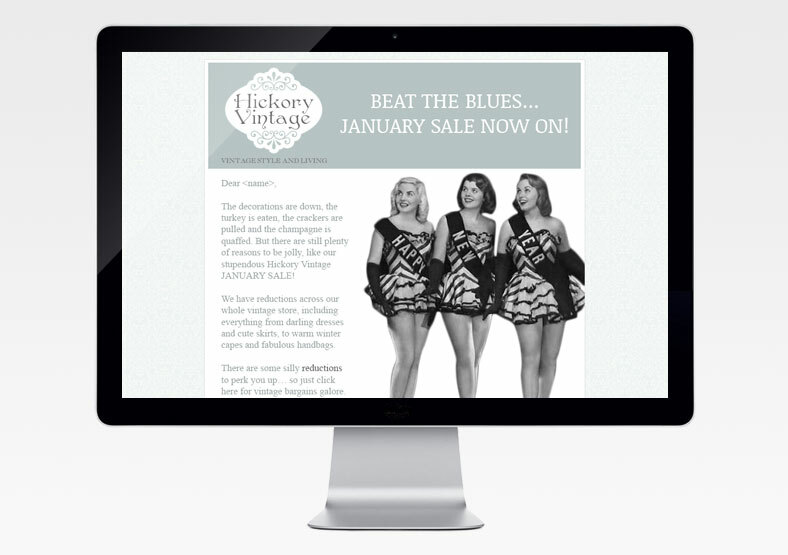 This online retailer of vintage clothing presented Public with a completely blank slate, requiring everything from brand identity to email campaigns. 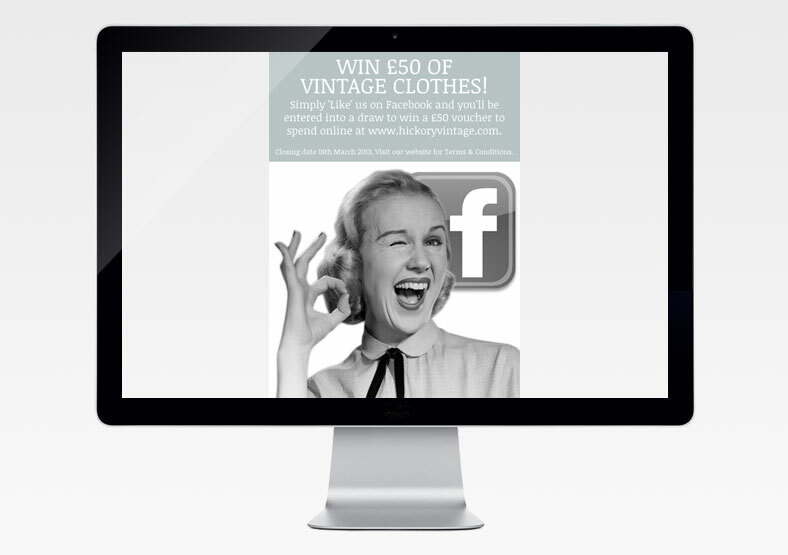 The first email campaign increased brand awareness by generating over 1,000 new likes on Facebook. 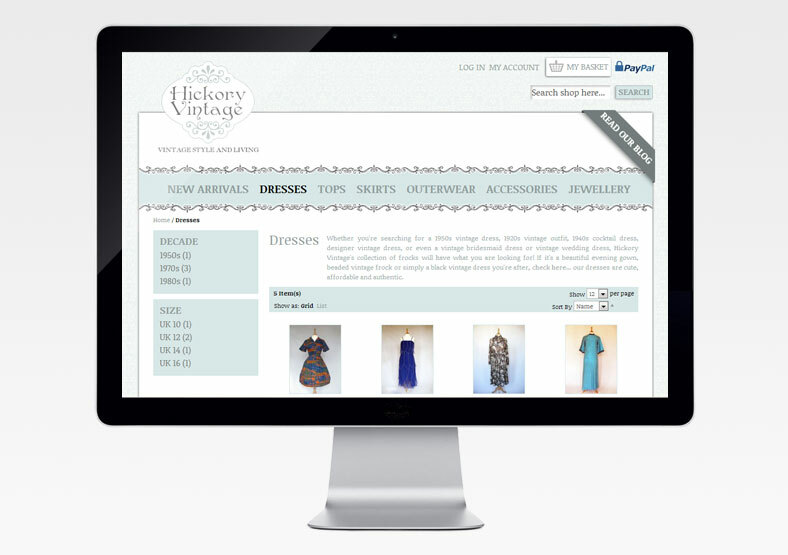 The biggest project was the design and build of a large eCommerce website. This incorporated automated checkout and inventory management, and allowed customer login and the use of coupons for repeat customers. 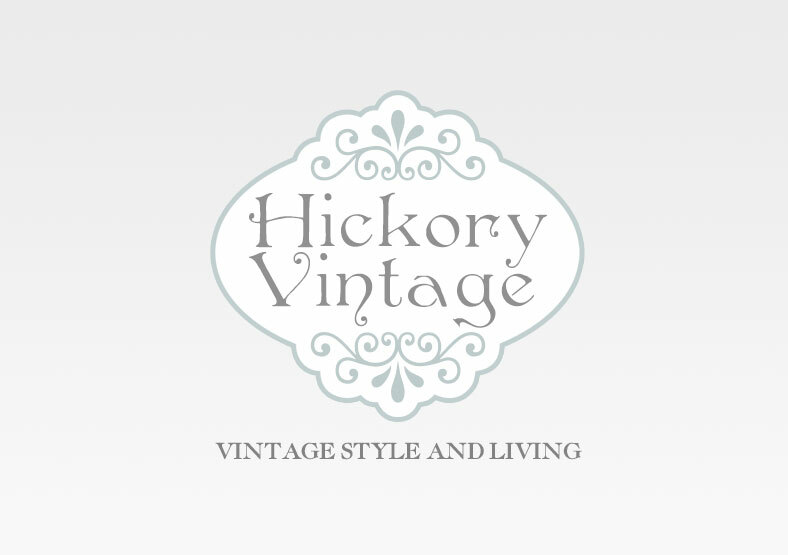 The design and colour scheme of the site perfectly reflected the Hickory Vintage branding. 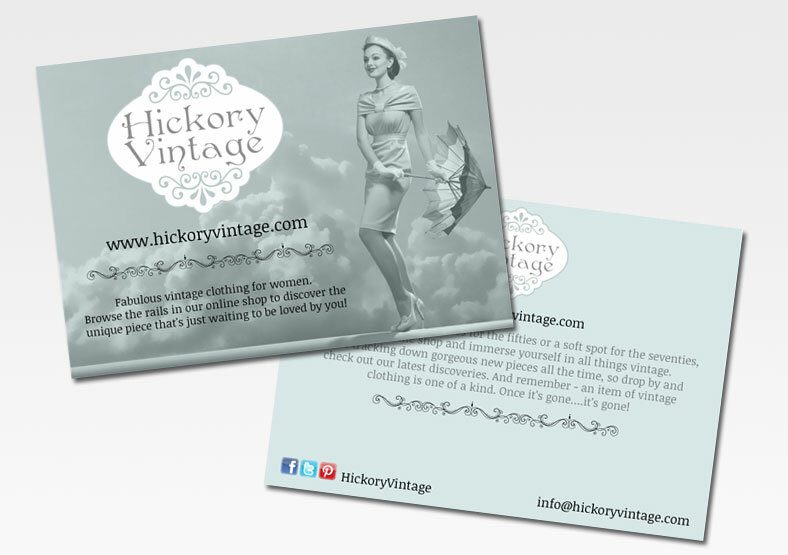 Other services we supplied were logo design, copywriting, advertising, SEO, social media management, and the design and creation of a range of marketing materials.